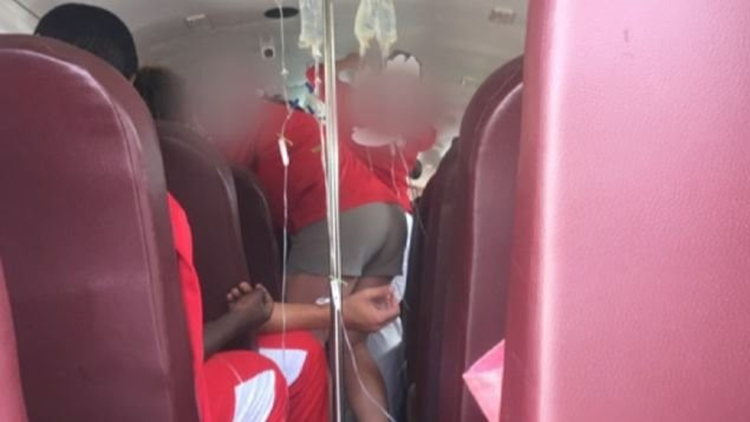 In photos and video sent to First Coast News, several Thomasville High School players are seen hooked up to IV bags on a metal stand being wheeled down a hallway and on a school bus. Prepping for a high school football game goes beyond water bottles for a Georgia team using medical IVs to hydrate players. In Thomasville, about 43 miles west of Valdosta, where high school football is king, players are using saline intravenous fluids therapy (IV) to prevent and reduce cramping prior to games. In photos and video sent to First Coast News by a source who asked to remain anonymous, several Thomasville High School players are seen hooked up to IV bags on a metal stand being wheeled down a hallway and on a bus. The superintendent of Thomasville City Schools, Laine Reichert via email said that a doctor prescribes the pre-game therapy and certified nurses monitor the IVs. Hydrating athletes through their veins isn’t a new concept; players in the NFL and at the college level have reported using pre-game IVs to increase stamina on the field. Using IVs on teenagers in high school before a game, however, is questioned by medical professionals like sports medicine surgeon Dr. Kevin Murphy with Southeast Orthopedic Specialists. Even more concerning: using the IVs while on a school bus and in a hallway. Murphy, who is unaffiliated with Thomasville High School, but serves as team physician for several Florida high schools, worries the IV use shown video carries a risk of infection. “The colleges start seeing it done in the pros so they start doing it. Then the high school program sees it done and say ‘Why don’t we do it?’” longtime certified athletic trainer Jim Mackie said. Mackie, of the Jacksonville Sports Medicine Program, wasn’t surprised the high school is providing IVs, but he was alarmed at the method. Multiple school districts in South Georgia and Northeast Florida deny using IV therapy on their athletes. An Archbold Medical Center spokesperson said they don’t give any IV therapy to high school players after being questioned by First Coast News. Reichert, in a later statement, said team physician Dr. Albert Richardson has credentials at Archbold and handles the IV prescriptions. Richardson has not responded to multiple calls, emails and a visit to his Thomasville office since Nov. 7. “The GHSA is silent on that issue [of IV therapy use]. We leave the doctoring to the doctors,” a Georgia High School Association spokesperson told First Coast News via email. Former principal of Thomasville High Chip Clatto claims he was in the dark about the athletic department’s decision to hydrate players through their veins -- despite the superintendent saying team parents signed permission slips. The football team’s annual budget, obtained by First Coast News shows no expenses for medical supplies or IV bags. Clatto, who’s employment contract wasn’t renewed by the school board in May, believes the medical treatment shows a thirst to win. Since leaving Thomasville High, Clatto founded ASPIRE Education Consulting to help schools develop college prep programs. 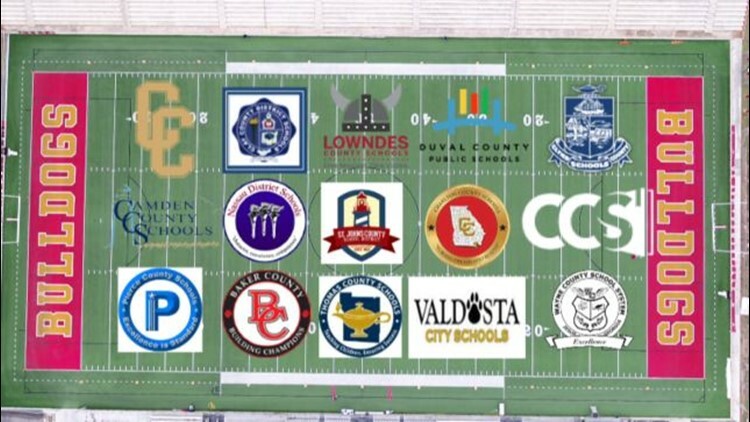 First Coast News reached out multiple Northeast Florida and South Georgia school districts to see if they were using IV fluids on student-athletes before games. Of 15 responding school districts, none reported using IVs before a game. Thomasville County Schools: Superintendent Lisa Williams told First Coast News via email that Athletes in the Thomas County School System receive IV fluids only when directed by a physician as part of therapeutic treatment for legitimate medical indications. During the 2018 football season, five players received IV fluids under the direction of a physician for dehydration or severe cramping. The Thomas County School System does not administer IV fluids to players as part of a fitness regimen or as a matter of routine practice. Glynn County Schools: Athletic director Steve Waters tells First Coast News “The Glynn County School System does not allow any IV Fluid Treatment in any sports currently. Our chief sports medicine physician, Dr. Beau Sasser, and I have discussed this numerous times. We both feel that without a safe, sterile environment there is a major risk to our athletes. Also, you would need a certified person to administer the treatment. While there are certainly some aspects of the treatment that I could see as beneficial, the risk far outweigh the benefits." Colquitt County Schools: A Colquitt County Schools administrator tells First Coast News, players are not typically administered IVs. In speaking to our athletic trainer, he recalled one occasion several years back where a sick athlete received IV fluids at halftime of a football game. That athlete was prescribed under a doctor's care who had permission from the parent. As a result of this First Coast News inquiry, Colquitt County is gathering more information on the subject. The Thomasville Bulldogs were region champs last year and this year made it to the second round of the playoffs. Their season ended Friday night. The advances in pre-game preps have been successful according to Reichert who said since using IV therapy she has not witnessed any Thomasville players getting cramps during a game.